Do you want to pay more for your Federal Duck Stamp? We probably know the answer to that. But, it looks like the Obama administration is looking to raise the price from $15 to $25 for the 2013 season. This isn't a new concept. George W. Bush tried to do the same in 2008, but with the economy in real trouble, it was shot down. 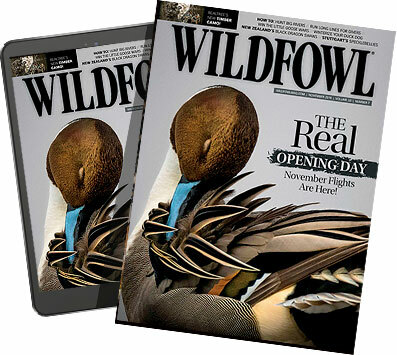 Wildfowl has broached this subject before in Chris Madson's 2010 article "Upping the Ante." Delta Waterfowl and Ducks Unlimited have both come out in favor of the price hike. It makes sense if the money goes towards conservation and securing habitats, like the potential purchase of 201 acres to expand Nisqually National Wildlife Refuge in Washington state. Nisqually is a natural habitat for waterfowl. But consider the fact the Interior Department will cut 218 National Park Service jobs in an effort to trim its budget and "do more with less," according to Secretary Ken Salazar. Doc Hastings, the chairman of the House of Natural Resources Committee, has come out and said the government is already burdened with too much land management. Hastings believes it would make more sense for the Interior Department to improve its current lands before buying more.